Agile development teams and IT operations teams often become so consumed with their own daily challenges that collaboration between them is severely lacking or non-existent. The problem with this is that manageability requirements become an afterthought to the development process, and agile teams may roll out applications that IT ops can't effectively monitor and run. While enabling cross-team collaboration is mutually beneficial— and ultimately improves the business' bottom line—, implementing it requires some effort at the organizational level to instill changes, and the right tools will help. 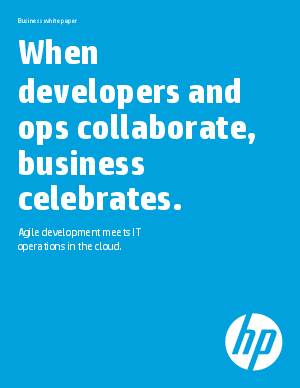 Read this white paper to learn guidelines for adapting your application development and management model to enable Dev/Ops information sharing and collaboration, and learn how the cloud can be leveraged for this purpose.